You couldn’t blame Harmon Killebrew if August was his favorite month. After all, he blasted the 500th and 501st home runs of his career on August 10, 1971, to become only the tenth man to reach the milestone at the time. While a lot of things have changed since then, Harmon is still a fan favorite in Minnesota and he still remembers the feeling of hitting career dingers #500 and #501 on that hot August night. The first came in the first inning off Mike Cuellar and his second shot tied the game during the sixth inning. The Met saw its share of baseball history, including the night of August 10, 1971, when Harmon Killebrew became the 10th major leaguer in history to hit 500 home runs. My Grandfather, a Twins fan since the beginning, came into town from Sioux Falls to visit and had wanted to go to the previous day's game because of it's potential historic significance. Luckily, it didn't work out for us to go, and since Killebrew hadn't delivered yet, we got a second chance. 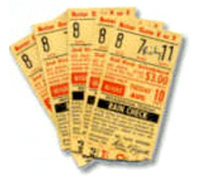 Because he was going, Grandpa insisted on buying good seats for everyone, and so for the first and only time (that I can remember) we sat in the main grandstand. I remember lots of people, and an electric atmosphere, but at first I didn't quite understand why the game was special. When Killebrew came to the plate in the first inning, the electricity in the air increased noticeably. And when Baltimore's Mike Cuellar threw up a fat pitch, Killebrew swung and the whole place erupted like I've never heard before or since. The shot landed out in the left field pavilion -- our usual seats. Despite the fact that the Twins' bullpen was unable to preserve the victory during extra innings, “The Killer” still remembers the thrill of joining The 500 Home Run Club...and he isn’t the only one. 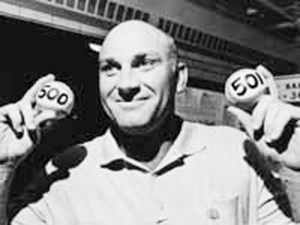 For a first-hand recollection of Killebrew’s 500 (and 501st) moment, visit http://www.oldmetstadium.com/ and read about how young Rick Prescott witnessed him become the third fastest to 500 with only 6,671 at bats. Only Babe Ruth, who did it in only 5,801 trips to the plate, and Mark McGwire, who reached the famous plateau after only 5,487 appearances had been quicker to the punch.